It would seem nothing good is ever really free—even in Freetown. 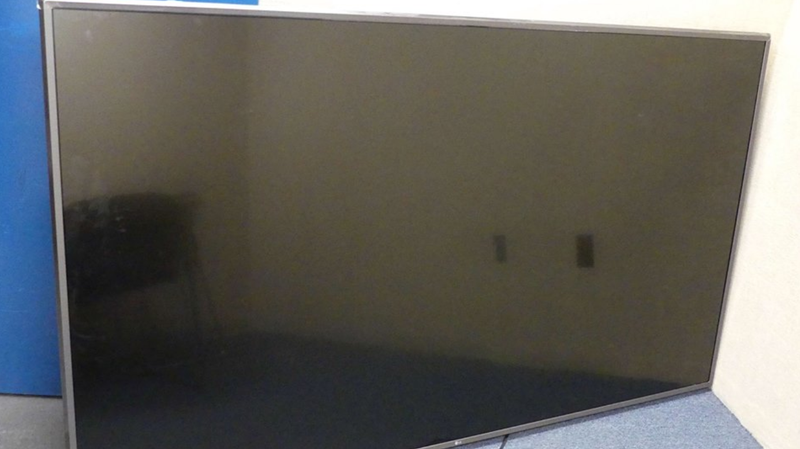 A Massachusetts man was reportedly arrested Monday over a flat-screen TV that he kept after it was delivered to his home by accident, Fox-affiliate WFXT reported Wednesday, and he is now facing potential jail time. Nicholas Memmo, 35, said he ordered a 74-inch flat-screen on Amazon but that when the TV was delivered, a third-party delivery service also dropped off a bigger flat-screen as well, which police identified as an 86-inch 4K HDR Smart LED TV from LG. Memmo told WFXT that while he recognized that there had been a mistake, he “looked into all the laws” and decided to keep the larger TV as well. He also said he spoke with Amazon, which he claims assured him that he’d done nothing wrong. Amazon did not immediately respond to a request for comment about its apparent correspondence with the man about the package. “I said ‘Do I need to hire an attorney?’ and they said I wasn’t under investigation at that point. They were just asking questions. I answered a lot of questions with I don’t know just so I didn’t jeopardize myself,” he said. The controversy here seems to be over whether Memmo signed for the larger TV. He maintains that he did not, but the shipping company told WFXT that he did. As WFXT pointed out and as the Federal Trade Commission notes, people are legally allowed to keep items shipped to them by accident—including merchandise delivered by Amazon. But police claim that Memmo obtained the larger flat-screen under false pretense, which would be against the law. Memmo told WFXT that police swarmed his Freetown home Monday evening before instructing him to come outside, at which time he was cuffed and taken into custody. Having obtained a search warrant, police searched the home and found the larger TV mounted on Memmo’s wall. Memmo was charged with larceny over $1,200 by false pretense as well as misleading a police officer. We’ve reached out to the Freetown Police Department for more information and will update when we hear back.